PRL Recruitment is a recruitment agency servicing the entire island of Ireland from our offices in Dublin and Belfast. We specialise in the FMCG, IT, ICT, Pharma, Healthcare sectors, amongst many others, and can place candidates at any level within a company. We believe that our job is to represent your company as the employer of choice within your sector and we use a range of recruitment techniques to fill even the most niche roles. At PRL Recruitment we know your recruitment needs will change depending on whether you’re recruiting for an entry-level position or need to headhunt a candidate to fill an executive position. We assign a dedicated recruitment consultant to your business with a background and understanding of your industry. We understand that many companies are under pressure for time therefore we want to ensure you only receive applications from candidates that meet the criteria required and are a good fit for your business. Before we send you any candidates CV’s we interview all suitable applicants and provide you with a full profile on their background, personality and experience. We ensure we match one of our experienced consultants with intimate knowledge of your industry in order to recruit the best talent for your business. We have a reputation for recruiting the highest calibre business professionals at all levels. Unlike other recruitment agencies, we don’t just search our database of candidates who are ‘actively looking’ for new employment. Interestingly, we find most of our candidates from the ‘not actively looking’ segment, where many come as referrals from candidates we have successfully placed previously. As part of our thorough recruitment process, we are also able to provide you with candidate assessment and psychometric testing should they be required. 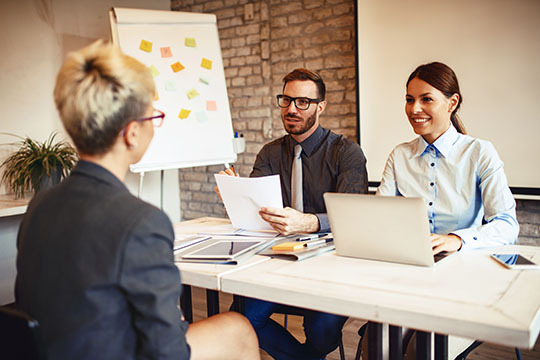 Our experienced consultants focus on matching your requirements with the experience and aspirations of candidates, leading to long-term, sustainable business relationships for all involved. We pride ourselves on the ‘stickiness’ of our candidates once placed, so much so that we offer a six month guarantee period on all permanent hires. If the candidate moves on or is not suitable for the role as provided to us at the point of briefing, we will identify an alternative candidate at no cost to your organisation. If you want us to search for a Director, recruit a full-time Marketer, find an interim Sales Manager, or provide a high calibre business consultant, contact us today.